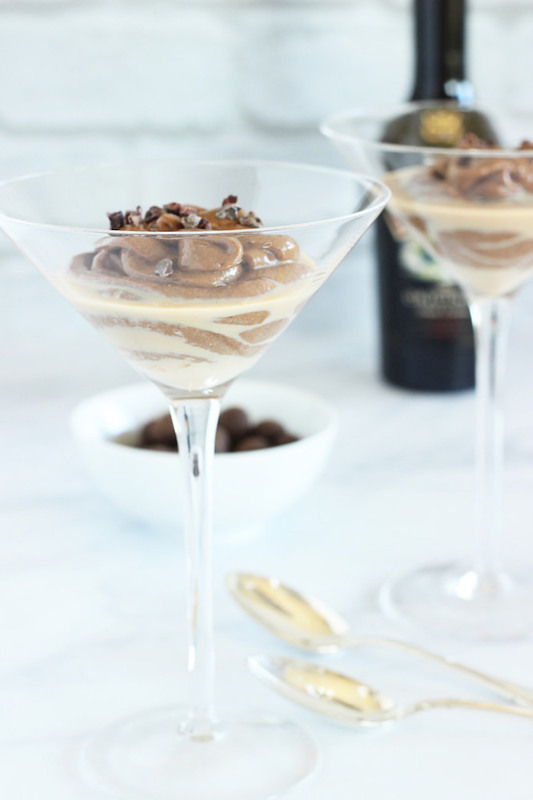 Mocha “nice cream” with a shot of Irish cream liqueur is a quick and cool, grown up dessert. Hello my friends! Today is a good day to try a new dessert, doncha think? – and this one’s a grownup take on “nice cream”, the faux-soft-serve ice cream that’s made with frozen bananas instead of cream. The Recipe ReDux is celebrating it’s 6th Birthday this month – and everyone’s bringing bite-sized desserts to the party. That way everyone gets to satisfy their sweet tooth, and try a few samples! Hmmm…That actually sounds like a fun idea my next party. Truth. I can easily go overboard with dessert if there’s a whole cake sitting around, but these individual, mini-sized desserts are just perfect. It would be really awkward if I started digging into everyone else’s portion, wouldn’t it? Plus, they’re kind of healthy, since they’re made from bananas, and a secret ingredient – avocados – which make this Nice Cream really taste like super-creamy soft serve ice cream. 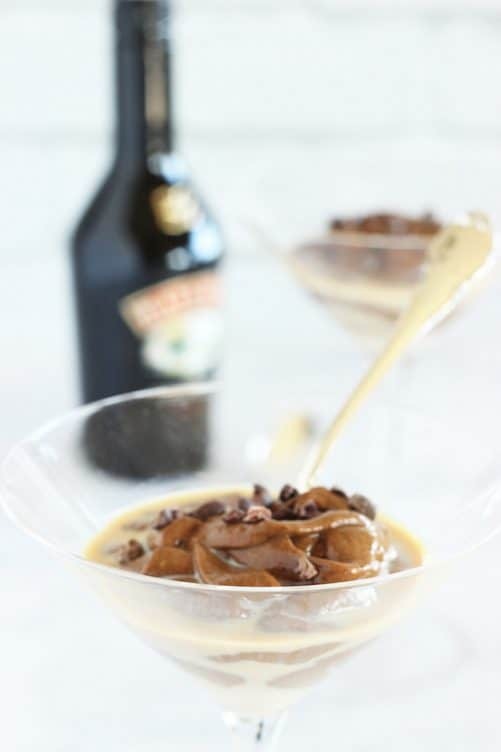 I love this, because it’s kind of like dessert, plus coffee, plus an after-dinner drink, all in one. The key to nice cream is to serve it quickly. It can get a bit icy if you make it the day before and freeze it, but if you eat it right away… Oh my. You’ll never guess it’s not loaded with cream and sugar. The healthy fat in the avocado makes it even creamier, but it also makes it nice and filling – so just a few bites really leaves you feeling happily satisfied. 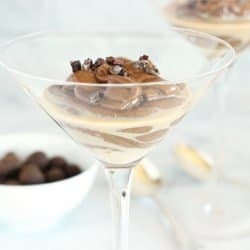 Place all of the ingredients except the liqueur and cocao nibs into the bowl of a food processor, and process until well combined. Stir once or twice to incorporate all of the bananas and avocado pieces. Have you ever tried nice cream? What’s your favorite flavor? Don’t forget to stop by and wish the other Recipe ReDux members a very Happy Birthday! Hello – next on my list to try! We have a huge St. Patty’s Day party every year and our neighbor always gives us a homemade bottle of Bailey’s which will go nicely on top of these! Thanks Diane! I love the avocado too – it really makes it more ice-creamy 🙂 Thanks for visiting! This is SO up my alley. Great summer drink! Dessert and drinks all in one! Great thinking!